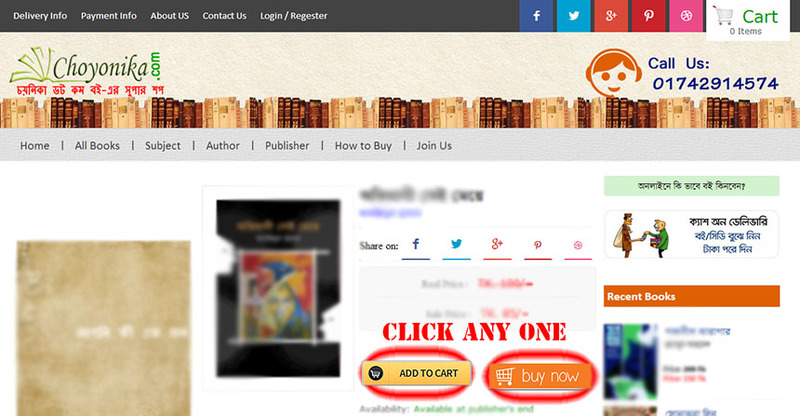 Go any book details page and click on "Add to cart" or "Buy Now"
If you Click on "Add to cart", then look after the add to cart and buy now button place and cart box in top head. 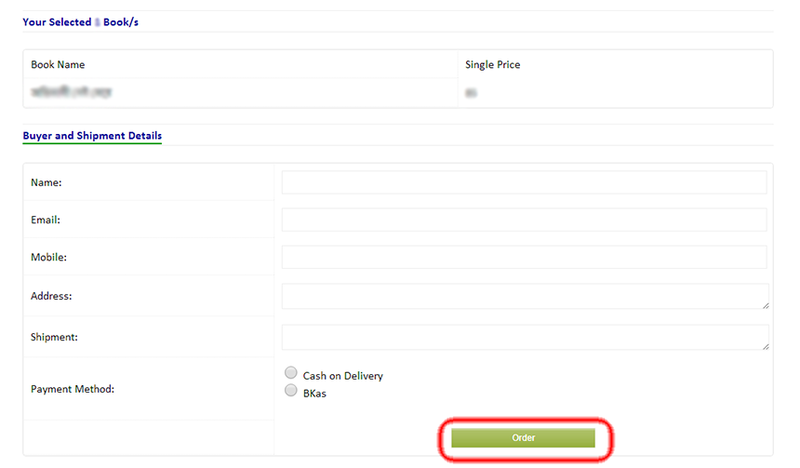 If you Click on "Buy Now", then Login by useing your 'User name' and 'password' or click on "Guest Up" or make Regestration from top menu. 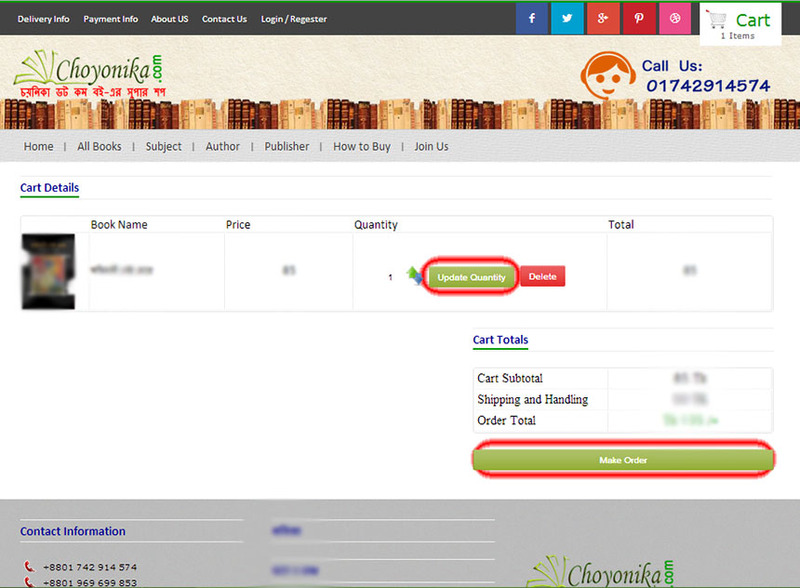 Go to your cart details from top Cart Box and make order. 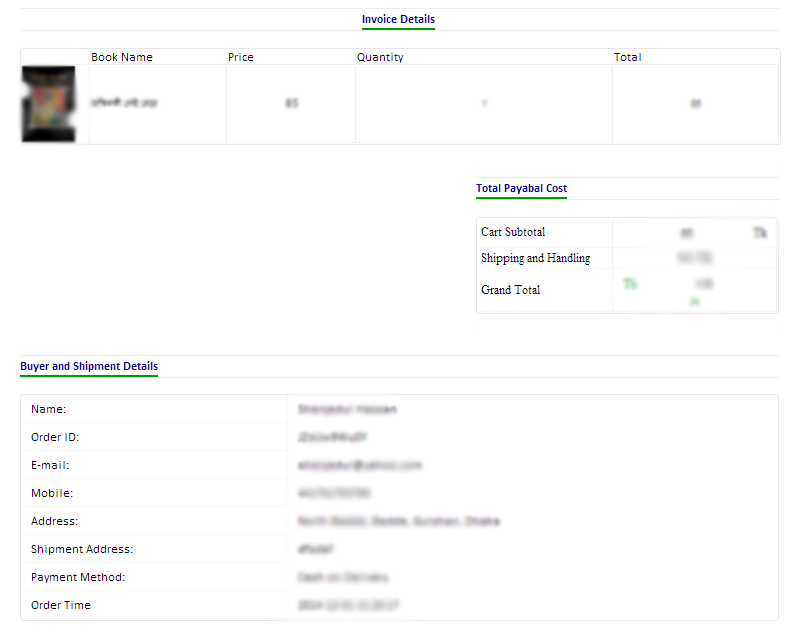 You can update your quantity for your selected book. 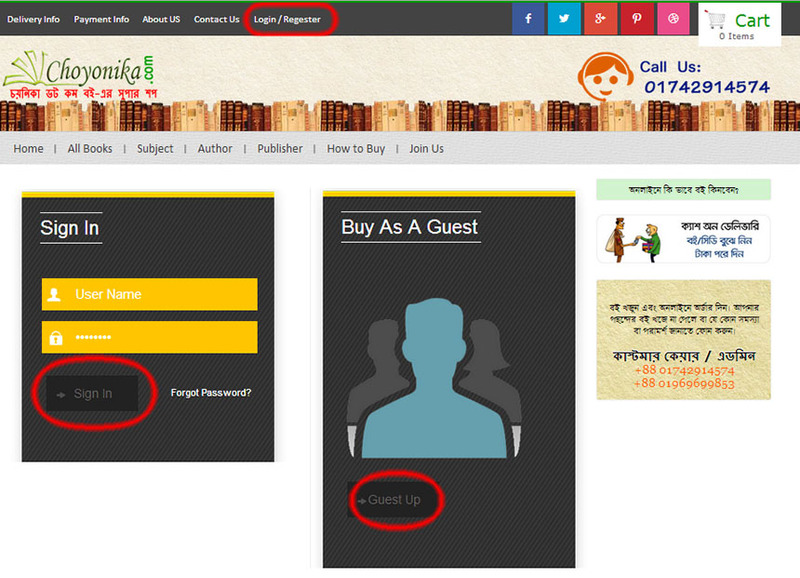 Login by useing your 'User name' and 'password' or click on "Guest Up" or make Regestration from top menu. 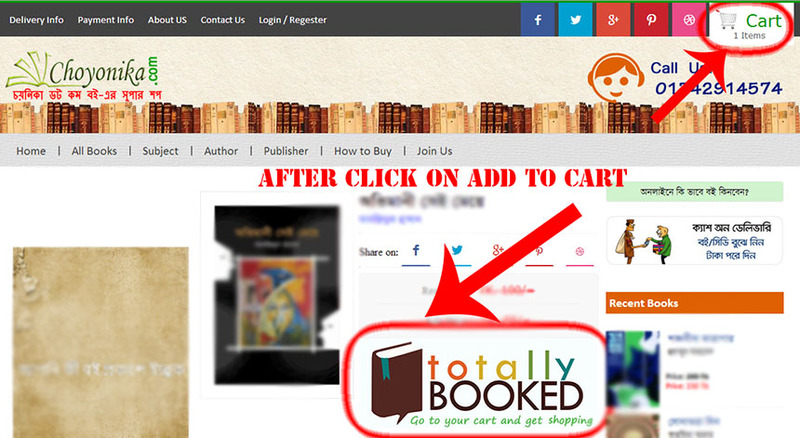 Confurm your selected book and give all information for order and click on "Order" button.